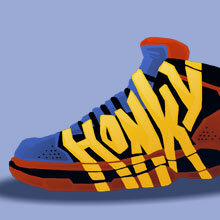 Greg Kalleres’ inspired satire centers around a basketball shoe company called Sky Max that traditionally markets toward urban youth. But when a young African American is shot for a pair, sales suddenly triple among rich, white teens. Davis, the new white CEO, sees dollar signs. Thomas, the black shoe designer, blames the company’s new Ghetto-glorying commercials and promises revenge on the copywriter. Meanwhile, Peter is so traumatized by his own white guilt over writing the ad that he runs to see a therapist, Emilia. But when he discovers she’s actually black - he suddenly has no idea how to talk to her. And his white fiancée, Andie, can’t help because she has absolutely no filter when it comes to what you can and can’t say about race. Luckily, there’s a new pill on the market that guarantees to cure racism – or your money back! 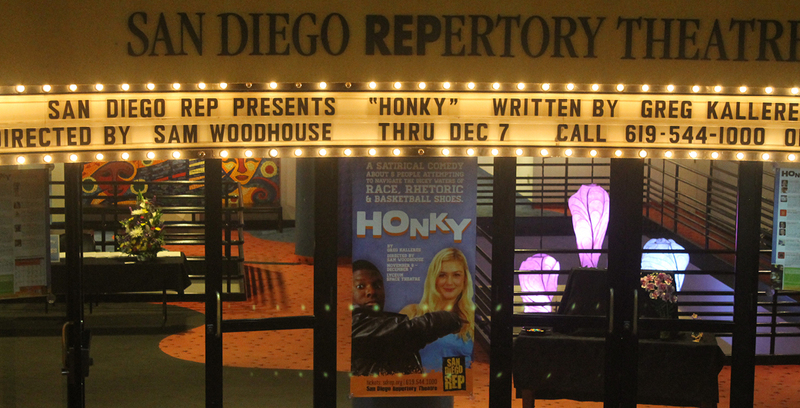 Honky follows the lives of five people, white and black, as they navigate the dicey waters of race, rhetoric and basketball shoes. This New York Times Critic's Pick enjoyed a wildly successful extended-run Off-Broadway last season. Why? Because Honky is honest, savvy and extremely funny!